Z-Trip is considered to be one of the best live performance DJs in history. Notably for being dubbed as the Rick Rubin of the DJ world with his roots based in Hip Hop, but he covers and loves all music styles. Z-Trip received the title of “America’s Best DJ” and still remains on the top 10 lists year after year. Just like Rick he helped design his own signature series DJ mixer, the Rane 62Z. 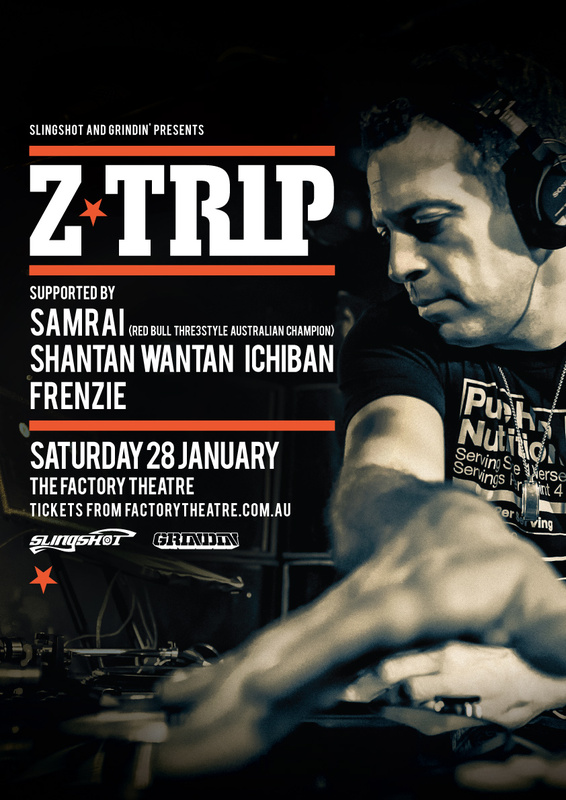 Z-Trip has collaborated with some of the very best to ever do it: Nas, Bassnectar, Public Enemy, DJ Shadow, Rakim, Shepard Fairey, Talib Kweli and many others. His artist debut album “Shifting Gears” received 4 stars in Rolling Stone. As a producer, he worked on Activision’s DJ Hero series. He’s also a featured avatar in the game alongside Daft Punk, Tiesto, Grandmaster Flash and Deadmau5. Z-Trip also remixed tracks for Nirvana, The Beastie Boys, Dead Weather and The Jackson 5 to name a few. Most recently, he collaborated with Lee Scratch Perry to rework Bob Marley’s classic “Punky Reggae Party” and with Brillz for Jay Z’s hit “Dirt Off Your Shoulder”.